in Spokane ~ now a couple weeks ago. 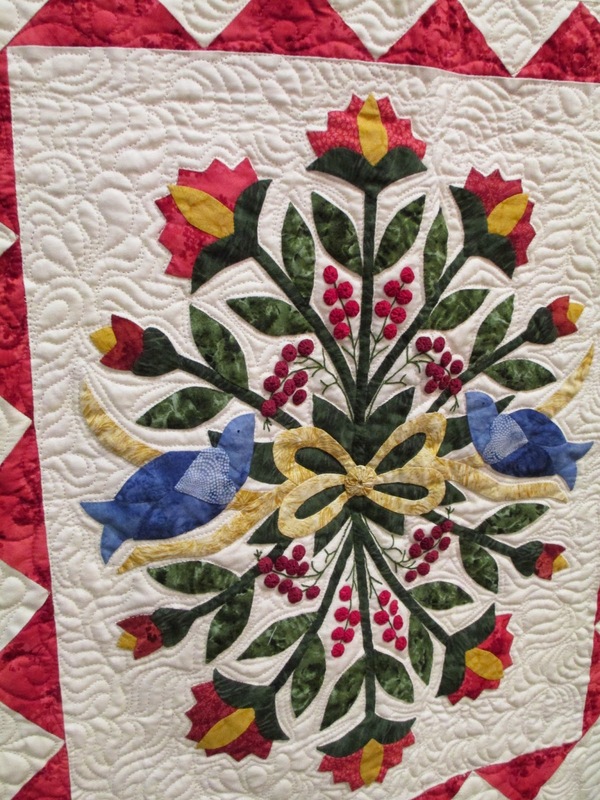 nicest quilt show I have attended." 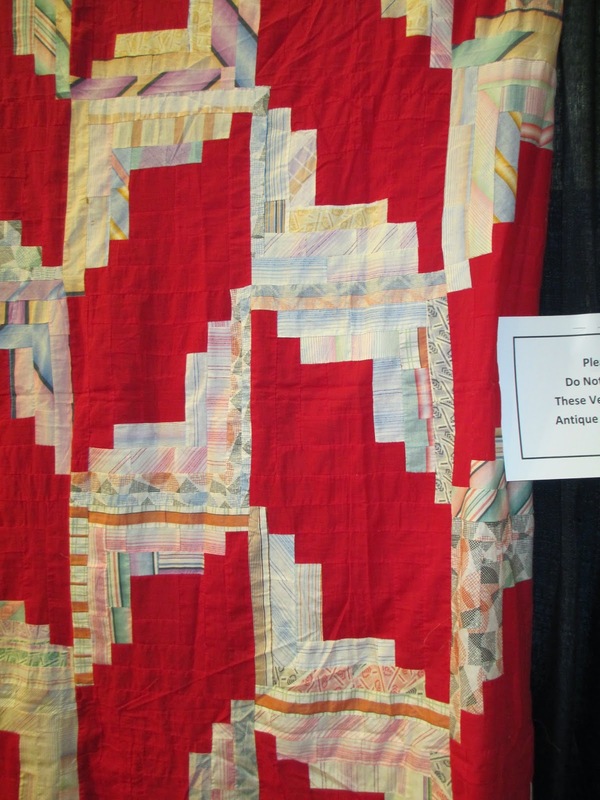 where quilts and vendors were. if one desired to see them. In all it was said that there were about 500 volunteers. which aided in viewers choice voting. 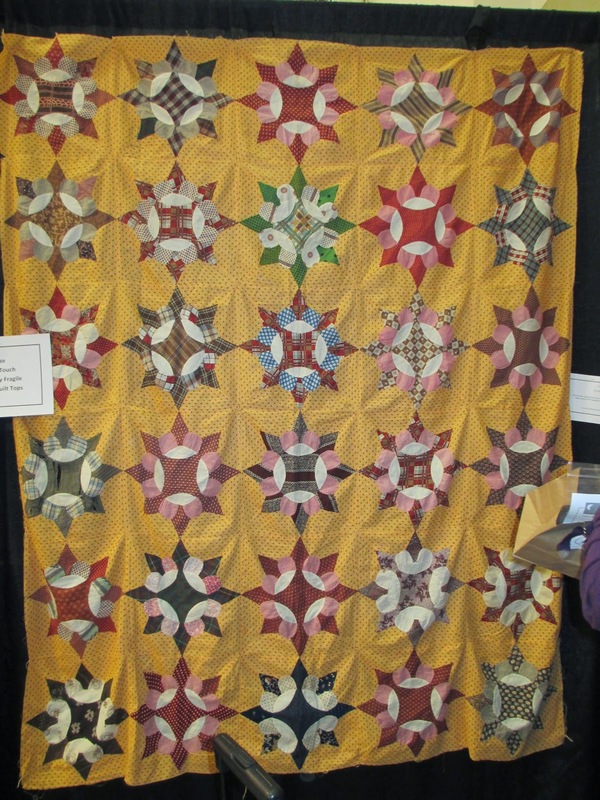 That was just the quilts. I haven't even made it to the vendors yet. They were wonderful as well. around to see all of them. I didn't get too out of control. get going on a project. 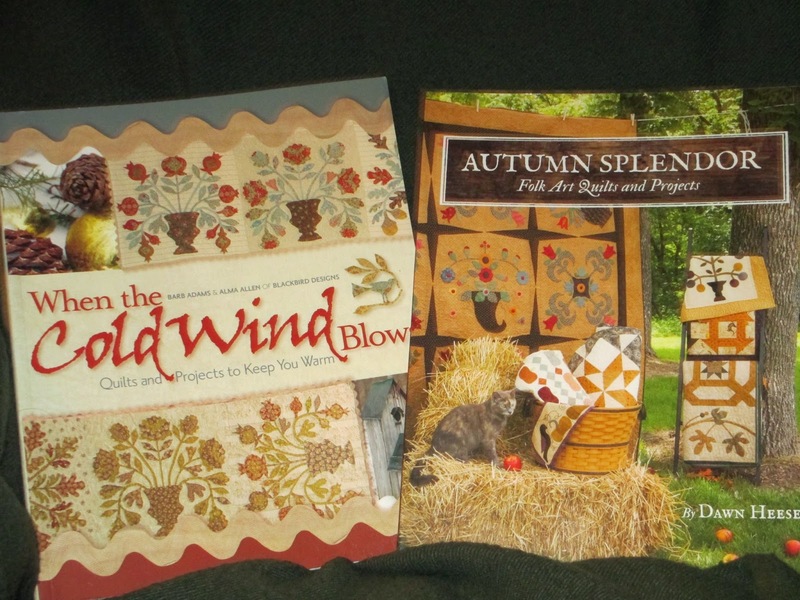 "When the Cold Wind Blows" and "Autumn Splendor." 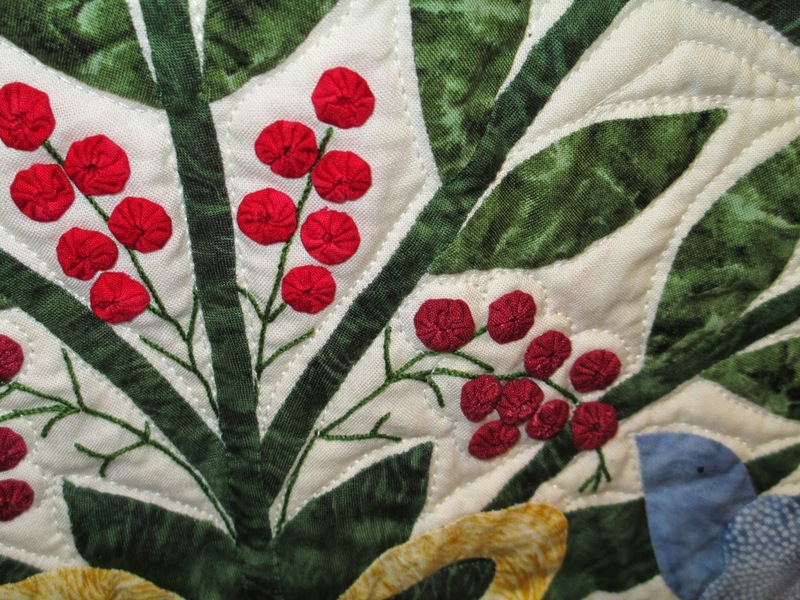 Both include lots of hand stitching of course. And on that note, I will admit to being fully biased. 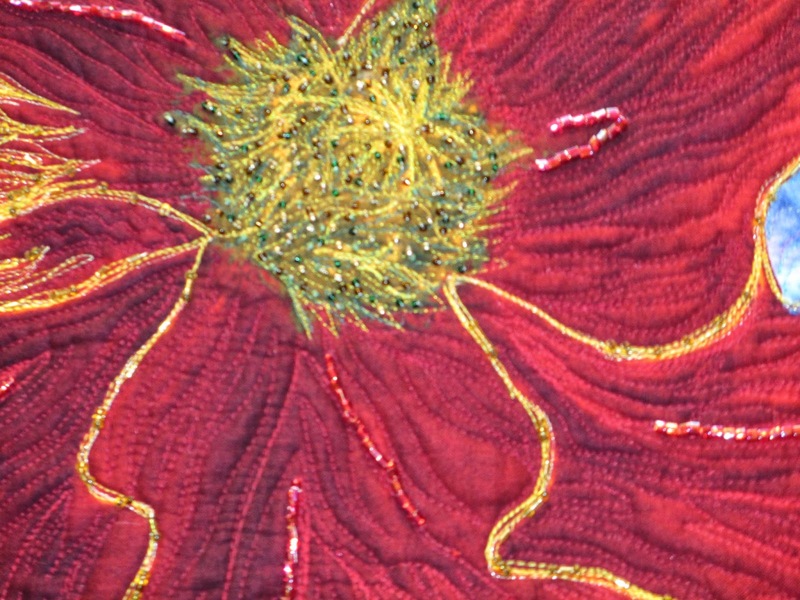 I prefer hand-stitching over machine-stitching. This was my favorite in the whole show. Those little yoyos were about 1/4"-3/8". These shaped yoyos were maybe 1/2". The artistry of this one was fabulous. Sorry this is a little out of focus. 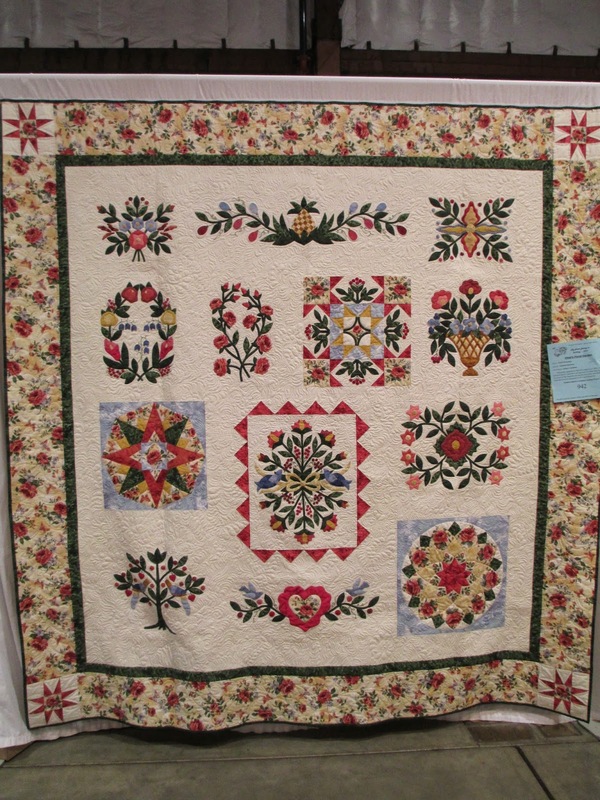 The quilt was up high for me as I am a bit vertically challenged. Then a couple of old tops that I just liked. I love the secondary 4-leaf clover that this pattern made. Below, a true make-do top. to make them long enough? 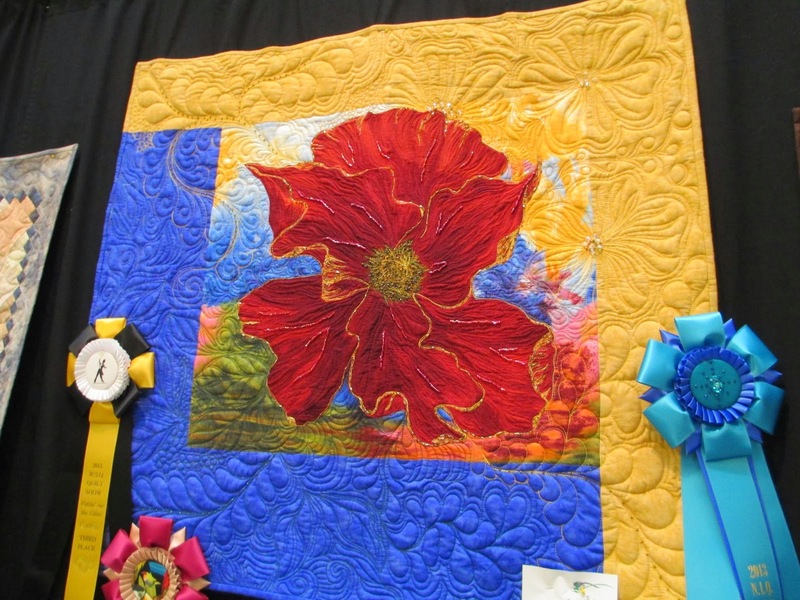 I would strongly suggest visiting this quilt show. and be both seen and felt throughout. Those are both great books. 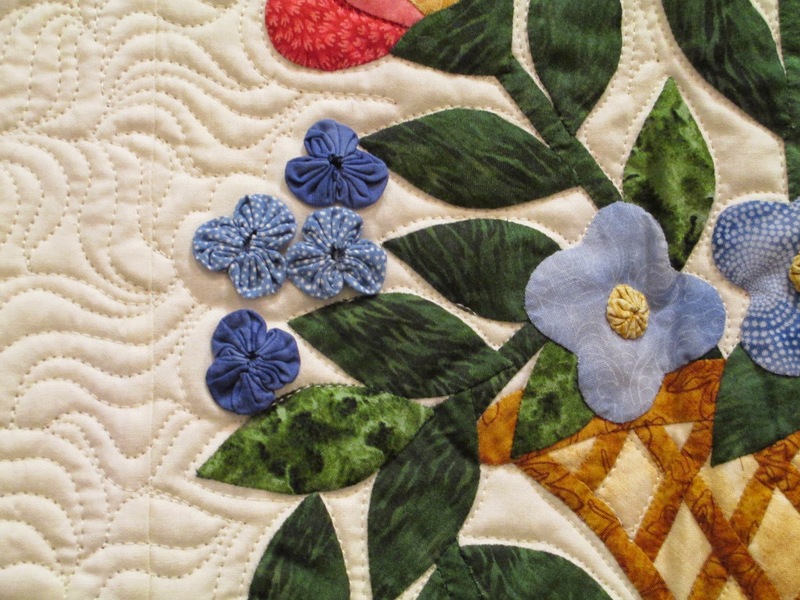 I like this version of Robert’s Floral Garden. Now I have to look and see what the other versions are like:) I really like the tedious little basket one. Joeylea, I am not able to use my email right now...got hacked. Just wanted to answer your ? about trailers. I use Command products, they work great in my trailer, Driving Ms. Daisy. It's a velcro product and I use them for pictures, or hooks for hats and even for heavy stuff. Hope you will post about your new trailer when you start your decorating.....have fun.